Product code: 2436 Categories: Sold Items, Sold Rolex Watches. 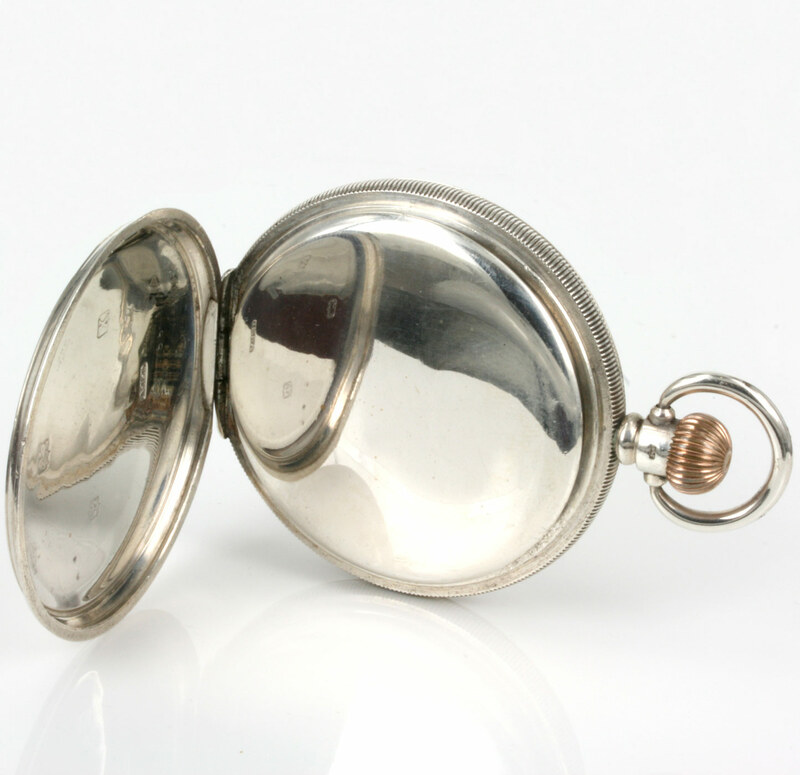 There is nothing quite like the feel and character that you get when you hold an antique pocket watch in your hand and here is a very handsome Rolex pocket watch fitted in a solid sterling silver case that will feel magnificent in the palm of your hand. Rolex are of course known as one of the best watchmakers in the world and there is something special about owning and showing off with pride a lovely Rolex pocket watch such as this one. Made in 1922, the dial is absolutely spotless with no cracks or damage and is unsigned as was common during this period. Designed with the traditional black Roman numerals on the white background it also has the sub-seconds at the 6 o’clock position and is still so easy to read. 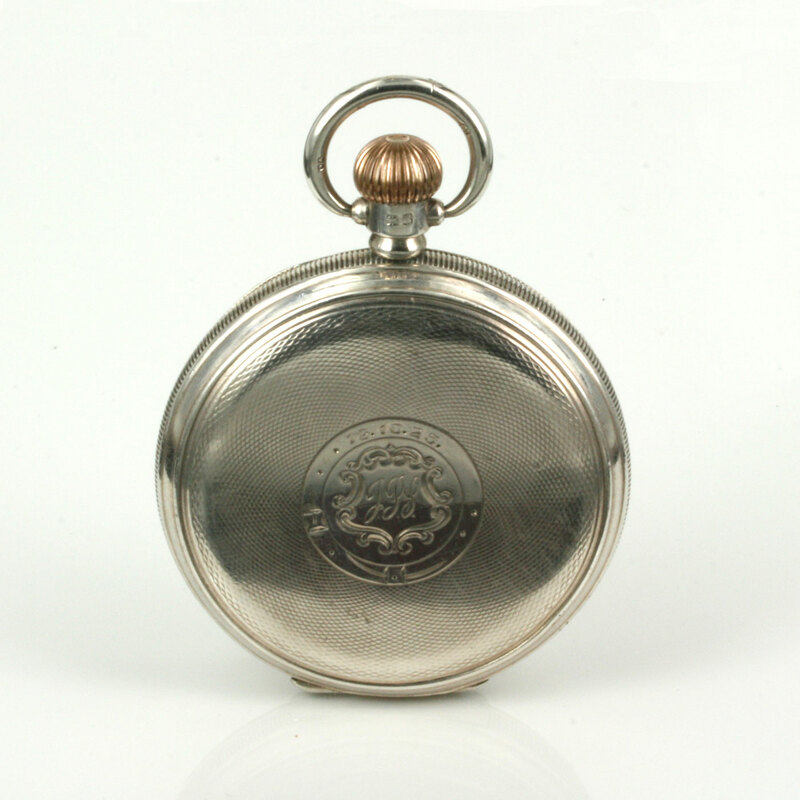 The sterling silver case measures an impressive 52mm across and the all the hinges are in superb condition and the front hinge opens easily and stops exactly at 90 degrees to the dial and has not been forced or handled harshly over the years and is still in excellent condition. Both the front and back have the traditional engine turning design and the front engrave plate is engraved “12-10-25” and the three initials “JPS” on the front. Inside is a magnificent 17 jewelled manual wind Rolex movement with a very high grade regulator and the pocket watch has been completely serviced, runs great and still comes with our 1 year warranty. 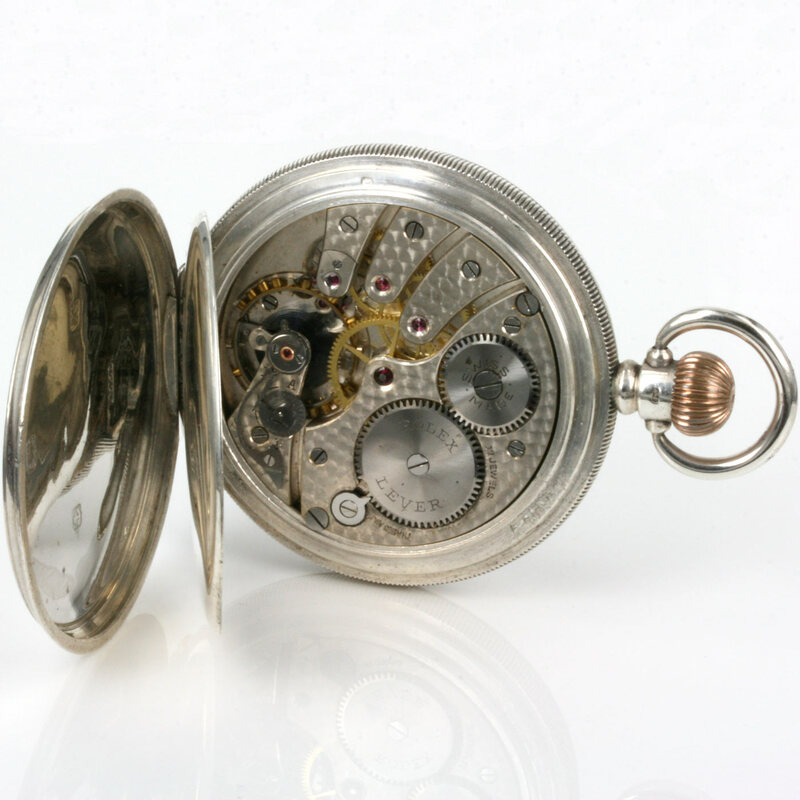 Antique pocket watches are great to own and what better than owning an original high quality Rolex pocket watch in a sterling silver case that both looks and feels great in the palm of your hand.